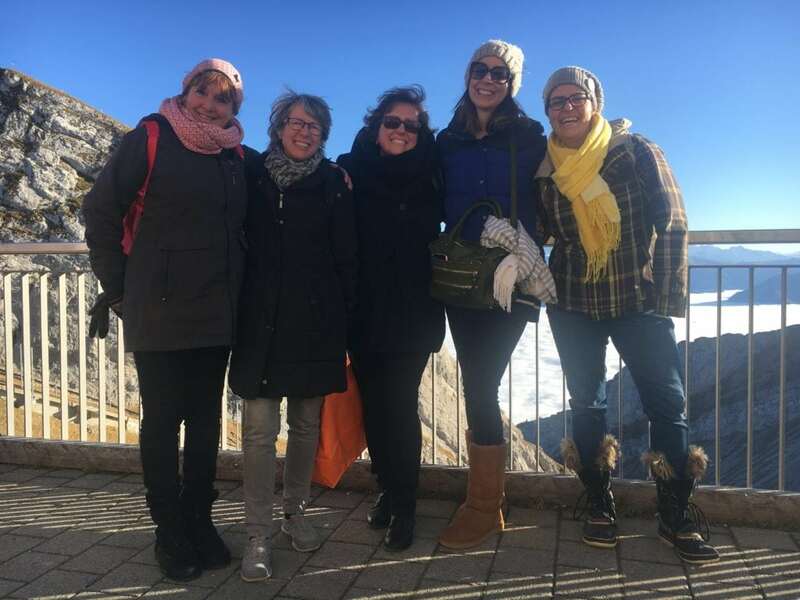 Over the past few years, this American quilt teacher has enjoyed the wonderful privilege and experience of traveling to teach all over the US and now a bit in Europe. 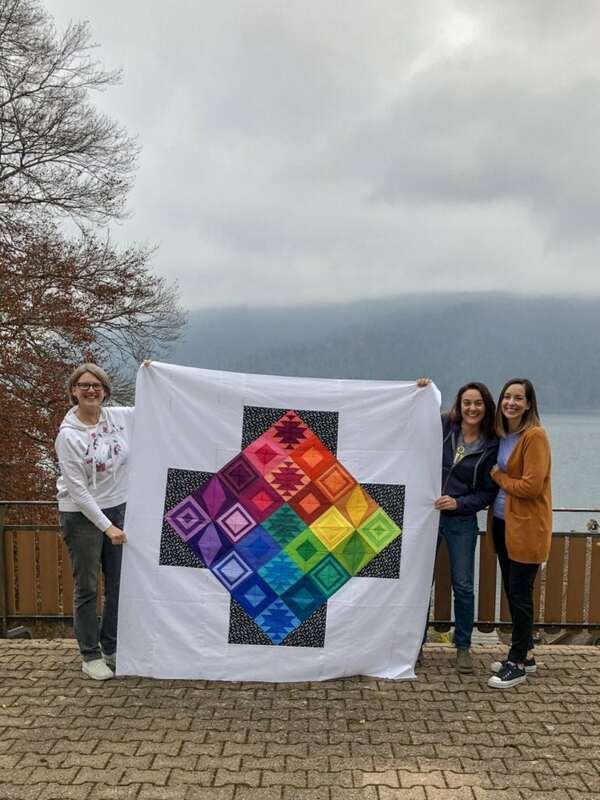 In this post I’m going to share some photos from my teaching trip to Switzerland with the Modern PatCHquilt group. Grab yourself a cuppa, while I set up my carousel and projector. A few weeks ago, over the holidays, my dad, brother, and I were down in the basement looking at old photos taken by my late grandfather. I am not exaggerating when I say there are at least 1 million images in the basement. My grandfather was a well respected, internationally known physician who travelled all over the globe for business and pleasure. As I looked over the boxes and boxes of photos from all corners of the globe, I was amazed. It made me want to remember the amazing places I’ve been privileged to visit for business and pleasure. So, here’s me remembering! Before teaching, I wanted to be sure to adjust to the time difference so that I would be 100% mentally present for my peeps! 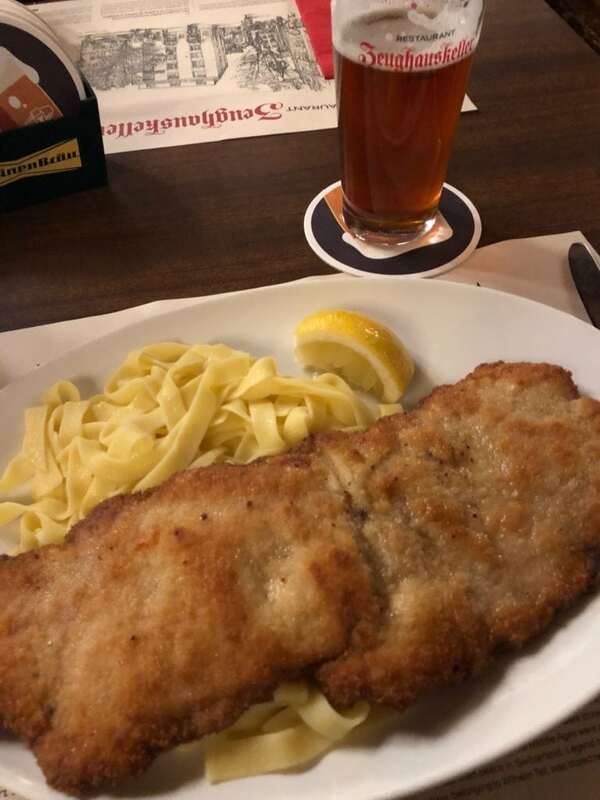 Thankfully, that meant taking advantage of my European trip to do some sightseeing! 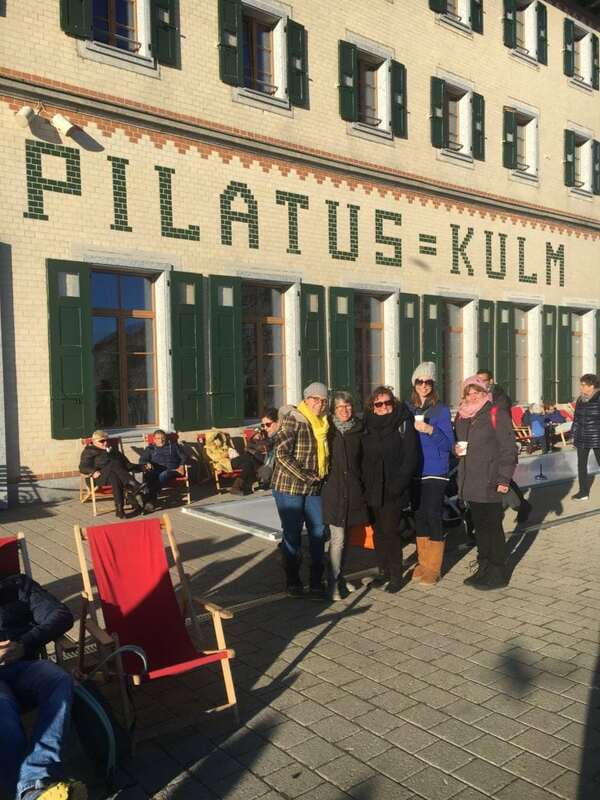 When I landed, my host Lisa picked me up and coffee’d me up and sent me on my way to Zurich. Yah! 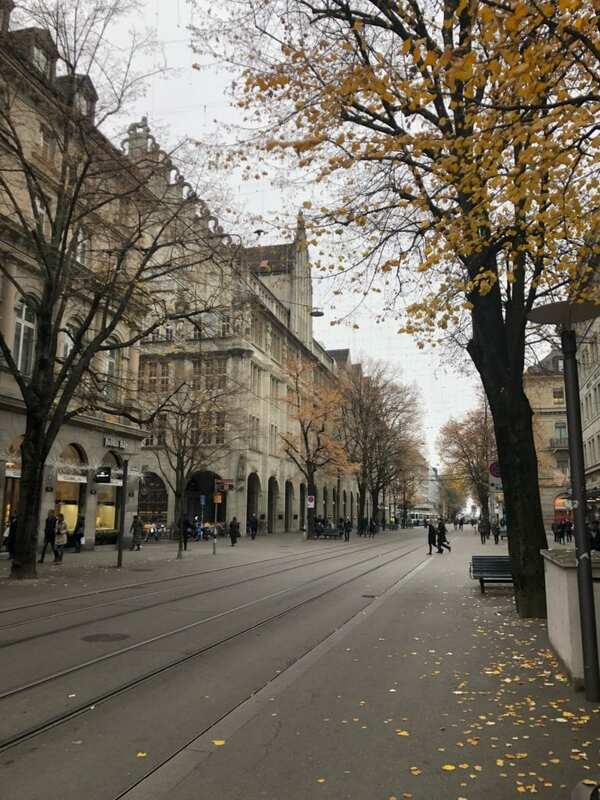 I wandered the streets of Zurich, lunched, visited the art museum, and got my Zurich “you are here” Starbucks mug. I also bought yummy Swiss chocolate. The next day, Lisa and I joined some other gals to visit Pilatus. 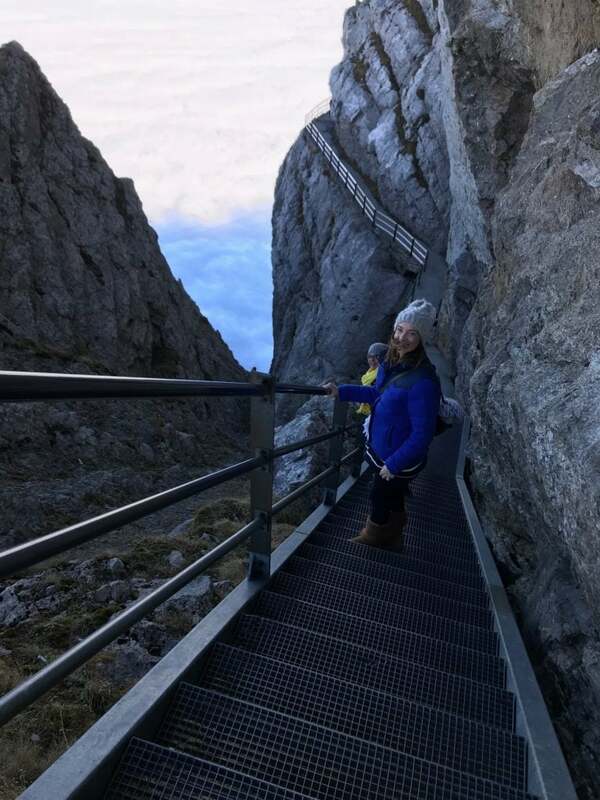 Pilatus has the world’s steepest train thingy, oh it’s called Pilatus Railway. 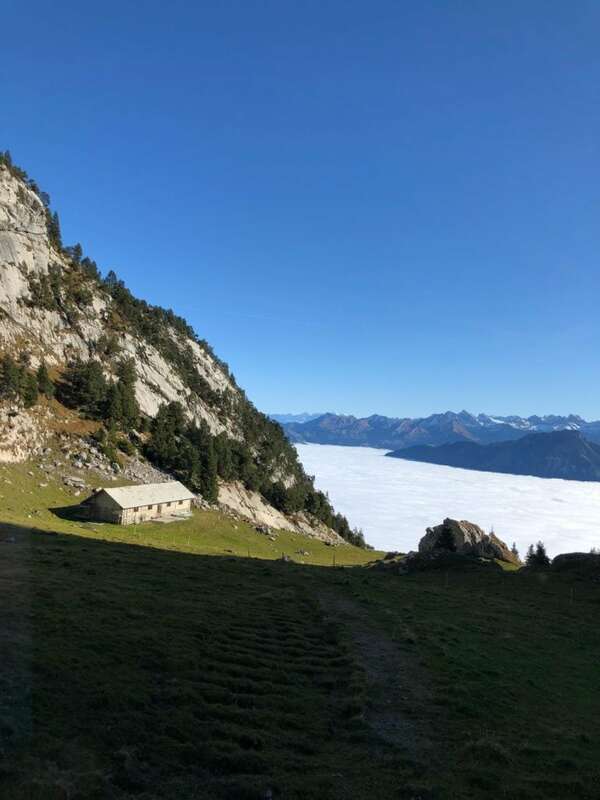 We took it above the clouds and enjoyed the sunshine! 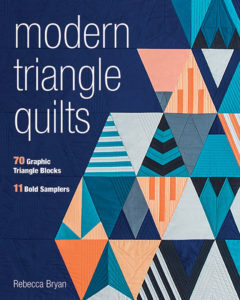 Finally, we get to the quilting bit! Teaching at Modern PatCHquilt was my first multi-day teaching workshop. 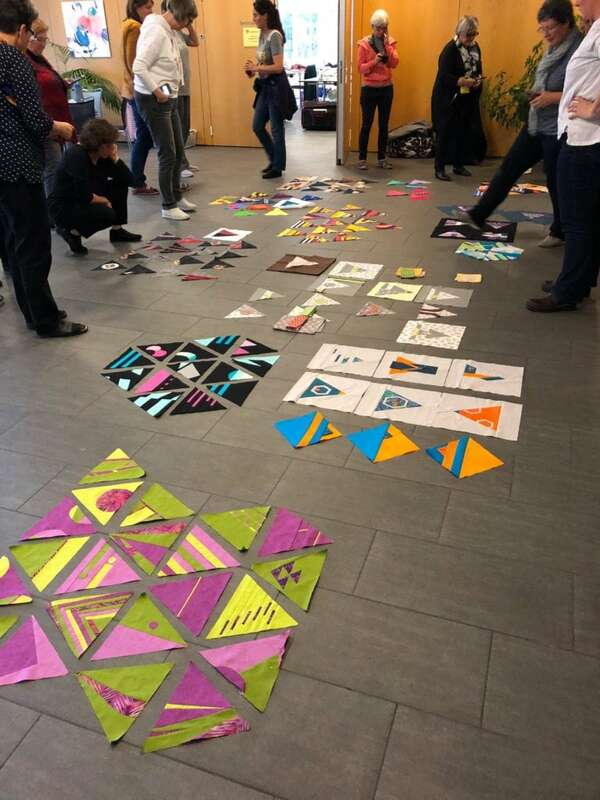 We spent 2 days working through my Design Improv with Triangles workshop. We worked through design challenges based on different graphic design prompts, for example using line as a design element. 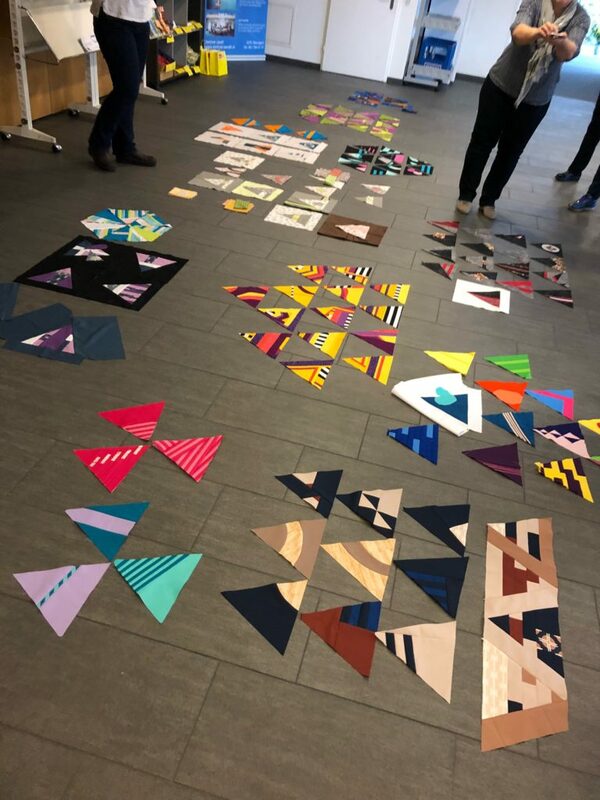 Then once we had enough triangles, we worked through a few group exercises focused on composing quilt tops using triangles. There were lots of fun moments during teaching. There even was a line dancing dance break, but gee I can’t seem to find pictures of that… oh darn! Ha! 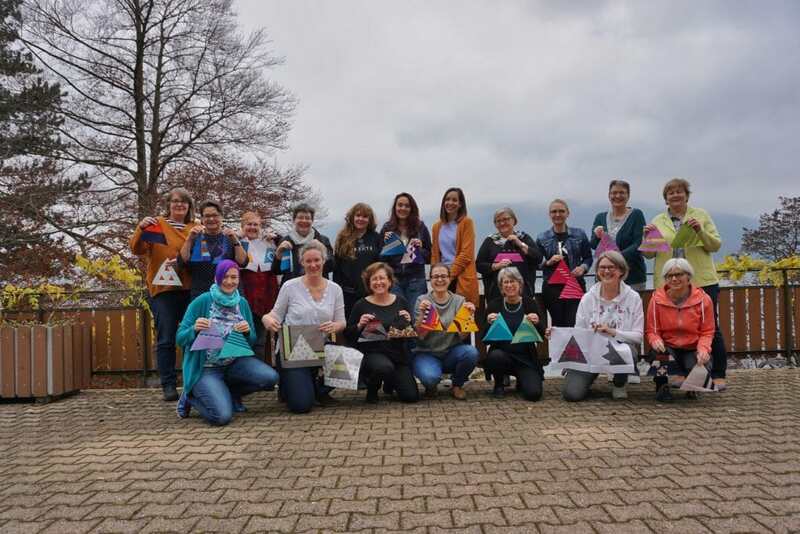 It was also really nice to have a chance to meet the Swiss gals in my Rainbow Triangles BOM. Meet Erycah and Michele! 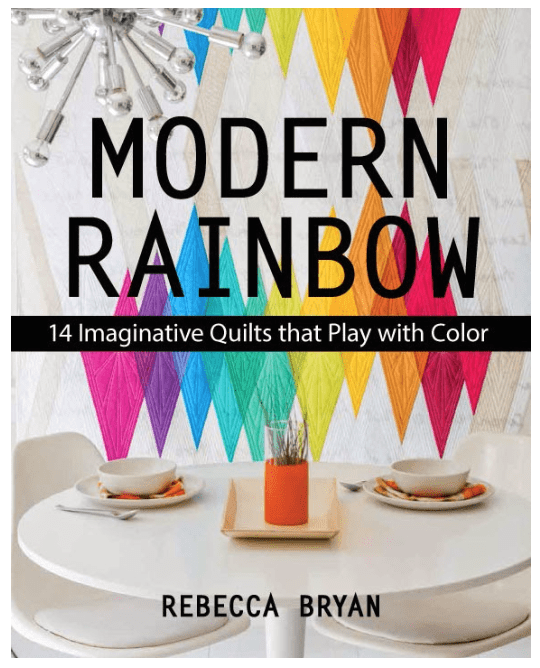 Thank you Modern PatCHquilt for a wonderful time! If you’re interested in taking a workshop from me, have your group book me for an event. I’m now taking bookings for 2020. You can also take an online workshop with me. You can enroll in the Design Improv with Triangles, which is the course I taught in Switzerland. 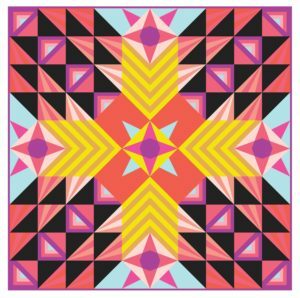 Look for more online workshops coming this year, including the Playful Color Theory for Quilters. 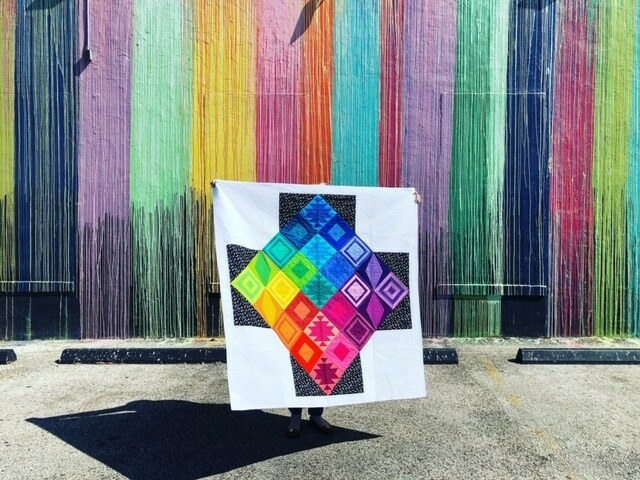 You can also enroll in one of my Block of the Month Programs, Rainbow Triangles or Stargazer. These are great programs for learning techniques alongside a group of online makers working on the same project.